Synopsis: Farhan Qureshi and Raju Rastogi want to re-unite with their fellow collegian, Rancho, after faking a stroke aboard an Air India plane, and excusing himself from his wife – trouser less – respectively. Enroute, they encounter another student, Chatur Ramalingam, now a successful businessman, who reminds them of a bet they had undertaken 10 years ago. The trio, while recollecting hilarious antics, including their run-ins with the Dean of Delhi’s Imperial College of Engineering, Viru Sahastrabudhe, race to locate Rancho, at his last known address – little knowing the secret that was kept from them all this time. its so good movie u must watch it…………..
vary nice movie… i love it….remembered my collage days…. everyone should see tis movi . its a great movi & 4 aamir 2 u should see this…..
another hit of 2009, another professional and meaningful movie by the cinematic genious Aamir khan. Great 2 watch here but It is absolutley worth to watch on big screen! Great Movie Boss i really Like ittttttttttttttttt…. Excellent Movie…Aamir Khan is always great..!! Excellent movie wah amir uncle plz upload this movie in good quality video……….. This is the perfect copy of 5 point someone……….Book and Movie both are exellent. i havent watched da movie yet ..
but lookin at above comments made me to think about watchin dis movie ..
wow !! excellent work by King Khan 🙂 Excellent movie .. Aamir , Maddy rocks . must watch..full star and really worth watch on big screen..
its worth watching movie. its refreshing. I Like Amir Khan's Acting… He is great.. m very big fan of him…… love u amir hamesha……. Guys once again Amir's fabulous performance….every character is good too. We watched it in the cinema …and loved each bit of it. Amir u r the best in the bollywood… All the supporting actors were really good too..
exellent movie……………of this year……………by bolllywood actor aamir bhai…………you must be see this film………. Amir khan really great. All the talent ends on Amir. Amir khan is like a super who gives only beautiful world in year but he is gold.It would be more appropriate to say Dimond. Amir is genius of this century. This is the SUPER DUPER Truper…….Big Hit.Must Watch movie……rz this movie will be hit amir khan god bless u i love u amir khan u ar my favorite actor u ar the best !!!!!!!!! It's such a great movie! Amir khan really great. All the talent ends on Amir. Amir khan is like a super star who gives people funny movie in a very year but you are gold.It would be more appropriate to say Dimond. Amir is genius of this century. This is the SUPER DUPER Truper…….Big Hit.Must Watch movie people who watch this movie will like and sport you u succeed life god bless you Amir khan and had what you wish in you life god will accepted your wish and wish you all the best Amir khan you are wonderful guy in bollywood actor i love you Amir you ar my favorite actor!!!! good luck with your life and succeed!!! Awesome Movie……… Everyone should Watch…..always Aamir Khan leave behind a Message for the people…. He works only selected movie… sometime he changes the script according to his act too…..Aamir You Are the Best and We salute you…. baba ranchood das ki jai !!! This is a good, movie, I like hindi movies. IF THE FILMFARE AWARD DOESNT GO LIKE THIS THEN IT IS SCRIPTED AND I HOPE PEOPLE WON'T GO TO THOSE FAKE NOT FUNNY FUNCTION NEXT TIME! BEST ACTOR OF THE YEAR 2009 = AAMIR KHAN from Ghajini's pyscho muscleman to energetic,intelligent college boy what an actor India have today! if he doesnt get the whoever gets the award is shameless to accept. she has done 4 films this year each with different roles hope she gets the award for Kurbaan. BEST SUPPORTING ACTOR = MADHAVAN & SHARMEEN I swear if we can have 2 best debuts last year why not SA this year? BEST DIRECTOR = RAJKUMAR HIRANI what a director he really is the biggest Idiot bcs without him 3 idiots would not exist. 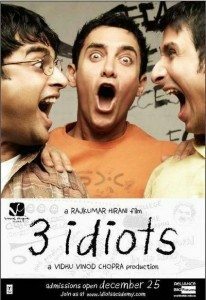 MUST WATCH I learn something from 3 Idiots. Instead of reading like a parrot we should memorise our study from heart & mind. Do what your heart tells you to do not others. U WILL WIN AAMIR! DONT WORRY ALL IZZZ WELL!!! good movie……. must get lots of awards!!!!!! nice concept.but delivery by vaccum cleaner.very funny.making is not better than munna vai.i'm waiting for My name is Khan,the true king of bollywood,SRK.love u SRK. this movie is great super hit!!!!!!!!! three idiots rocks…. AMir Khan Always gives the Best, Each And Every Movie By Amir Is Always Accompanied By A lesson, Specially The Concept That " Don't Study To Pass Exams Study To Achieve Excellence, To Get Knowledge Not Degree" Very Informative Movie For Students……..Love U Amir…………. kya Jal KA song tha is mein? superb movie….great Amir.All is Well….passion is all that matters in life.enjoy d life….not to be ruled by d set of rules that screw up the creativity.Amir u rocks……. this is movie isnt just aamirs acting but for me the main actors were madhavan and sherman who accted the best in this movie. aamir as we all was going to be great and was great. Filmafare best actor 2009 maybe but does have tuff competition from saif ali khan and shahid kapoor.Best direction should go to hirani and 2010 will be rocking for another khan Sharukhkhan. 4/5 for this film. Cant wait to watch My NAme Is khan Now!!!!!!!!!!!!! MOVIE IS JUST AWESOME…. ONE OF THE BEST FROM AAMIR. "perfect" thats all i cn say for tis movie. Aamir is really a Mr. Perfection. Nothing can go wrong with Aamir's acting. Three Idiot is the great movie I have ever watched. It is a movie, a student should really watch…….gives more lessons of getting success in life. Thank you Aamir, and all the team of "Three Idiot." good movie to watch.no time waste !!!! THE BEST MOVIE EVER. A MUST WATCH. I CAN WATCH OVER AND OVER GREAT MOVIE. Amir!!! Great, u know what, u r rocking!!! I would like to say only one thing. Amir Khan is the reall King of The Bollywood. King Khan is Amir khan .Number one. 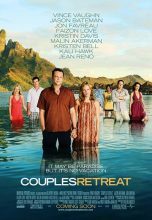 best movie of 2009……outstanding performance by everyone…. Guys please support this movie by watching it in cinema halls instead of downloading it. Believe me guys its an awesome movie n its worth spending money on. It's a crime if u dont watch it! GO WATCH IT NOW!!! This copy is 20 minutes less than theaters copy at USA. I watched both theatres and here (hindlinks4u). This missed some important dialogues and sequences. Off course, superb movie. Great to watch at big screen! Someone who does not need to say "My name is Khan"
A movie that has many lessons to learn from it.. Always be calm n cool..
use your brain n heart to make decisions..
life means more than just partying n having fun all the time..
always think n feel for others, for they will do the same for you..
lifes too short, study to get a decent earning, marry the girl whos first love was you..
n remember, we all wer created by sumthn, we must have a purpose..
cars are created for transport, books for studying , houses to live in etc..
Definately the bset movie of theis year and excellent among the moviez i watched …..
also called (3 Tare zameen per) nice movie. sssppeecchhlleess!!!!!!!!!! what a movie!!!!!!! Perhaps this is the best movie by aamir ever acted upon and is the best movie i ever seen in my life !!!!! a movie like our GITA which ll keep me inspiring till my whole life….. i v seen my self in aamir in dis movie!! hats off 2 u aamir… only singl word 2 summraise this film is " EXCELLENCY " for which everyone should strived for!!!!!!!! ache movie hai lakin akhir mai aur bi achi hojate agar kareena kehti jahan panah tussi great hoo!!!!! tufa qabool karoo!! xcellent movie. teaches u alot. must b awarded best movie of the past 5 years. Absolutely perfect movie! a must watch. What a Waste..never seen such a DUMB movie in my life…I hope sometime people will think beyond the movie,beyond the imagination..this movie teaches nothing.There are no Idiots in real life..Think About it..
WOWWWWWWWWWWWW BEST MOVIE EVERR !!!!!! Amir khan is a Muslim.So in hindu,s country i like that there is a real hero like Amir khan as a Muslim..so i love my hero. ghulam abbas U R really big ideot. U Pakishtani always small think. i hate that i have to wait an hour!! thatz bs!! anywayz love the movie!! VERY GOOD MOVI. ALL IS WELL. BEST MOVIE OF THE YR..
BEST MOVIE OF THE CENCTHRY .. 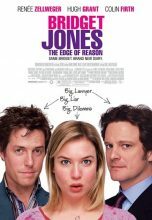 Very good Movie.Specially its funny facts makes a man laugh. And we get a very good lesson from this movie. Best Amir khan as always. Such a good movie and the songs are really nice!!! My favorite!! to good a movie. Watching it for the 10th time in 2 years….and still lovin it !! I first watched the movie about 3 years ago when it came out. Its good. yeah its really too gud….